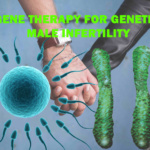 Performing a medical research and documenting the findings in a research paper are painstaking and time-consuming process. Nevertheless, the research authors must conform to the scientific ethics at each stage of performing a research and documenting its results. ‘Ethics’, derived from the Greek word ‘ethikos’ are a set of principles for right conduct in a particular field. They carry a greater significance in the field of medical research and publication as these are directly related to the suffering humanity. In recent times, there has been a gradual neglect towards the ethical principles guiding a scientific research paper writing, and its publication. The misconduct in behavior may be intentional or may arise due to ignorance. Whatever be the cause of misconduct, the consequence is the same. And it not only affects other authors, reviewers, and editors, but also the common man. 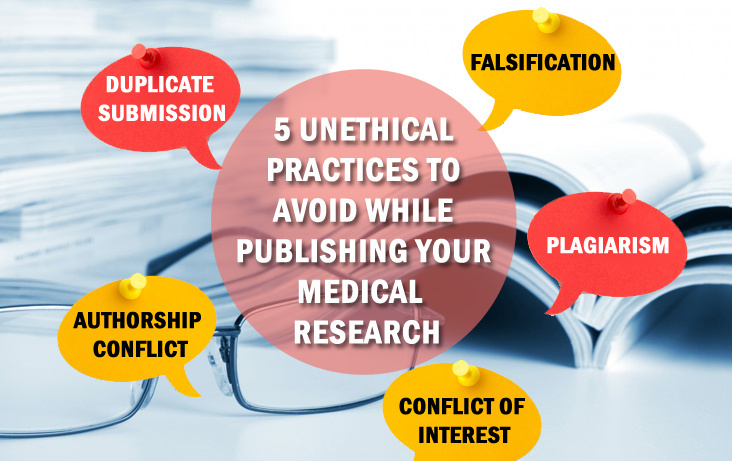 As a research author, it’s absolutely essential to abreast yourself with these ethical principles and avoid any scientific misconduct. Submission of your research paper or its publication in two or more identical journals with or without acknowledgement to another is called duplicate submission/publication. Such a practice is done by authors to increase their number of publications. But, bear in mind! It’s unethical as it wastes the time of journal reviewers, publication resources, and renders no benefit to humanity or scientific community. You can query multiple journals for submitting your research paper, but finally submit to one only! Falsification is the manipulation of the methods used in research or its key findings to produce a desired outcome. Fabrication is the false recording or recording of a fictitious data when none exists. Such practices are more common in pharmaceutical industry where results are fabricated to promote a particular drug in the market, ignoring its side-effects. Not only unethical and wastage of limited research resources, such fabrications have negative effects on the physician’s clinical practice and creates mistrust amongst the consumers or general population. Plagiarism is the practice of using other’s work or ideas in your scientific writing without giving them due credit and passing them off as one’s own in publication journals to gain recognition. Even using your own text from other publications in the current writing without due reference is considered plagiarism, more specifically called self-plagiarism. If you think you are smart and your plagiarised content will escape the eyes of the journal editors, you are highly mistaken. Detection of plagiarism has become easier with the advent of numerous plagiarism checking tools. Sometimes plagiarism is not intentional, but happens accidentally. However, you can avoid it by providing references of all the sources you have used for writing your scientific content. Always cite the author appropriately whose work you use in your research paper, even if they are from your past publications. As per the International Committee of Medical Journal Editor (ICMJE) guidelines, any person who contributes to the conception, designing or acquisition of research data, analysis of data, drafting or revision of the article, and its final approval before publication is entitled for the authorship of that paper. Not including the name of the person who contributes to the research in any manner. Failure to obtain consent from a person whose name is cited in the manuscript. Adding an extra author or removing the name of an existing author before or after publication. Citing a person as an author just on the basis of seniority, family or professional relationship when none of them contributed to the research or its writing. The conflict can be prevented by deciding the authorship in the beginning of the research. That’s the reason why journals ask the authors to submit their checklist for the criteria of authorship. Conflict of interest is a situation in which the author of the research study may be influenced by personal and/or financial considerations to affect the quality or the end result of the research. If any such conflicts of interest arise, be they personal, financial or any other, they must be disclosed with complete honesty to the editorial team. Though our publication support services experts guidelines and principles exist to prevent any misconduct in research and publication, ideally you shouldn’t require them. Self-restraint and welfare of the fellow members of the community must be the sole driving force for conducting an honest research and publication. How to avoid Duplicate Publication and Simultaneous Submission?